Transitional living and structured living environments are essential components of the treatment process for an addict or an alcoholic looking to achieve sobriety. In thriving recovery communities across the United States, recovery homes, sober houses and halfway houses are found in abundant supply. Orange County, California. Delray Beach, Florida. York, Pennsylvania. Prescott, Arizona. Minneapolis, Minnesota. Each of these well known recovery communities is supported by a strong, centralized network of treatment centers and recovery houses. A person entering treatment needs to have a safe, structured environment that supports their recovery. Sending a person back to the same living environment or to the same family dynamic or to living alone in their old home is not the best option in order to facilitate a healthy, long term sustainable recovery outcome for that person. A study published and presented online in The National Center for Biotechnology Information concluded that sober living environments offer essential support for someone in early recovery and evidence suggests the natural benefits of these living environments included more people stayed sober for longer periods of time when they lived in such a recovery-supported environment, a decline in arrests, an increase in employment and a decrease in harmful psychiatric or psychological symptoms or other emotional issues(http://www.ncbi.nlm.nih.gov/pmc/articles/PMC3057870/). For a more personal, non-scientific look at the benefits sober houses and halfway houses offered those new in recovery, the Press of Atlantic City offered this article focusing on the benefits that Oxford Houses and other independent recovery residences have brought to the recovery communities of New Jersey: http://www.pressofatlanticcity.com/communities/hammonton_egg-harbor-city/sober-living-homes-offer-hope-support-to-recovering-addicts/article_ebe9c054-8c21-11e3-8542-001a4bcf887a.html. Ask any treatment provider, therapist or someone in long term recovery about the benefits of a recovery residence and they will undoubtedly sing the praises of the structure and support these sober environments offer, not only for a person trying to get sober from their addiction or alcoholism but also for the recovery community as a whole. Fellowship and peer support is essential in early recovery from drugs and alcohol. Recovery residences like sober houses and halfway houses organically create that fellowship and peer support. Recovery organically feeds recovery. Unfortunately, in many areas in and around Baltimore there are very little options for addicts and alcoholics in early recovery to find sober housing. There are some options, but not many. And even less good quality, truly structured housing options. Outside of Baltimore there are some. In places like Bel Air, MD and throughout Harford County and on the other side of Baltimore in Howard County around Columbia, Maryland there are some housing options. 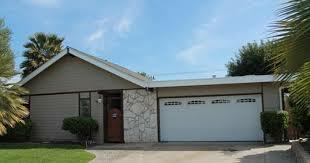 Carroll County (and specifically Westminster, Maryland) also has several high quality, structured living homes. Baltimore City is home to a good number of options, but high quality, structured recovery residences are the minority rather than the majority. In the middle of this lack of resources is Baltimore County. Try finding a sober house or a recovery house in Baltimore County. Google “Recovery House, Towson, Maryland.” Or try “Sober Homes, Owings Mills, Maryland.” Halfway House, Pikesville, MD? Or Sober Living Homes, Parkville. Maybe Sober Living Homes, Catonsville, Maryland? Find anything yet? Probably not. That’s because the sober living options in Baltimore County is like trying to find water in a desert. Local government housing ordinances that have been in place for years in order to prevent fraternity and sorority housing in and around Towson have created an umbrella issue for anyone trying to open a recovery residence in Baltimore County. Add that into the typical NIMBY (Not In My Backyard) thought process of almost anywhere in the country and it creates almost an impossible mountain to climb for anyone looking to bring high quality, structured sober living to the area. Everyone in a community wants people off of drugs, but nobody ever wants to see the process it takes for someone to actually get clean and sober from drugs and alcohol. They don’t want addiction around them, but they don’t want recovery around them either (or at least what it takes to create and support long term recovery.) So the end result is that throughout Baltimore City, Baltimore County, Carroll County, Harford County and Howard County, the number of high quality, efficiently operated, structured sober living environments can be counted on two hands. For such a tight knit community like Baltimore and it’s surrounding areas, that fact is not only a shame, but it’s heartbreaking and it’s sad and it shows little true support for those suffering from a deadly illness like addiction or alcoholism. 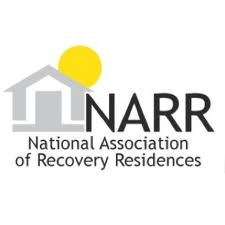 Recovery residences and sober living facilities and halfway houses support recovery. The bring the structure and the accountability often needed in early recovery from addiction. They can sometimes remove an addict out of a toxic living situation and offer them a safe environment. They can offer someone a place to rest their head and get back on their feet. They support individual and community recovery. They are vital and essential to long term, sustainable recovery outcomes. And here in Baltimore there needs to be more of them. Many more of them, or else the best that can be hoped for is not close to the best that can be done for those people suffering from drug and alcohol addiction and the community as a whole. Information on some of the nation’s thriving recovery communities can be found on this list of the 10 Best Sober Living Cities: http://www.thefix.com/content/10-best-sober-living-cities. 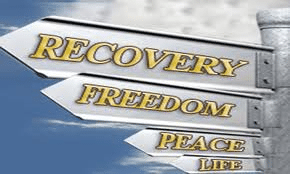 Maryland Addiction Recovery Center offers the most comprehensive drug and alcohol treatment programs in the state of Maryland for both adults and adolescents. We have contacts at the best sober living options in the area and are spearheading efforts to improve and expand the recovery housing options available to addicts and their families as well. For more information on our programs and services, please call (410) 773-0500 or email info@marylandaddictionrecovery.com. Additional information about MARC can be found on the web site www.marylandaddictionrecovery.com.